Campaigns are about messaging. Abboud’s message in her short response was loud and clear: The madness needs to stop, and her priority number one was stopping the madness. Contrast that to Abboud’s primary opponent, Kyrsten Sinema. Sinema is running ads about her priorities. Priority number one for her is working across the aisle to improve veterans’ health care. There’s nothing inherently wrong with improving veterans ‘ health care, right? Of course not. Just the opposite. We owe a debt of gratitude to our veterans, even if many of the wars in which our political leaders induced them to serve were for causes less than noble. Regardless, they made huge sacrifices for the good of all of us. We owe them. The thing is, though, there’s also nothing inherently wrong with fiddling, either. Indeed, fiddling can be downright heroic, if you do it in Georgia when confronted by the devil, when he’s looking for a soul to steal. But not if you do it in Rome, when it’s burning. Prioritizing veterans is straight out of the Democratic establishment playbook for candidates running in “tough districts” or red states. I learned that over the course of my own campaign. Once I gained the attention of the DCCC and hired staff recommended by it, supporting veterans became the centerpiece of the positive side of my campaign. (Targeting an incumbent, the campaign was more focused on the attack side) That happened through zero effort of my own. I of course was in favor of measures to support veterans, but that was not what inspired me to run. There was a phoniness to my prioritization of veterans issues that I regret and I’m sure played a role in the size of my loss. But in 2008, when I ran, Rome wasn’t burning until 6 weeks or so before the election, when Lehman Brothers collapsed. At that point, the focus of our messaging turned away from support for veterans. Today, Rome is not just burning, it’s fully ablaze, and the flames, if not doused, will destroy it. America has become a pariah on the world stage. We have incarcerated children and separated families, in a manner so incompetent we can’t reunify them. We have the elected representatives of one political party actively undermining the investigation of serious corruption involving the president. We have withdrawn from a treaty into which all but one of the 200 odd nations of the world have entered, thereby increasing the likelihood the planet, including Rome, literally will burn. We are implementing trade policies that parallel those that precipitated the Great Depression. So, why would a U.S. senate candidate make veterans health care the main focus of her campaign messaging? Because it’s really safe. Nobody opposes veterans. At the same time, veterans and their family members tend to lean right politically. Prioritizing veterans, the thinking goes, could win a Democratic candidate support from folks who otherwise would be highly unlikely to vote for her Republican opponent. Some might doubt how much juice that strategy will have against the likely Republican candidate, Martha McSally, who herself is a veteran. But that’s almost besides the point. My concern is about that message Abboud was so willing to communicate — the madness needs to stop — and Sinema’s seeming avoidance of it. Don’t get me wrong. 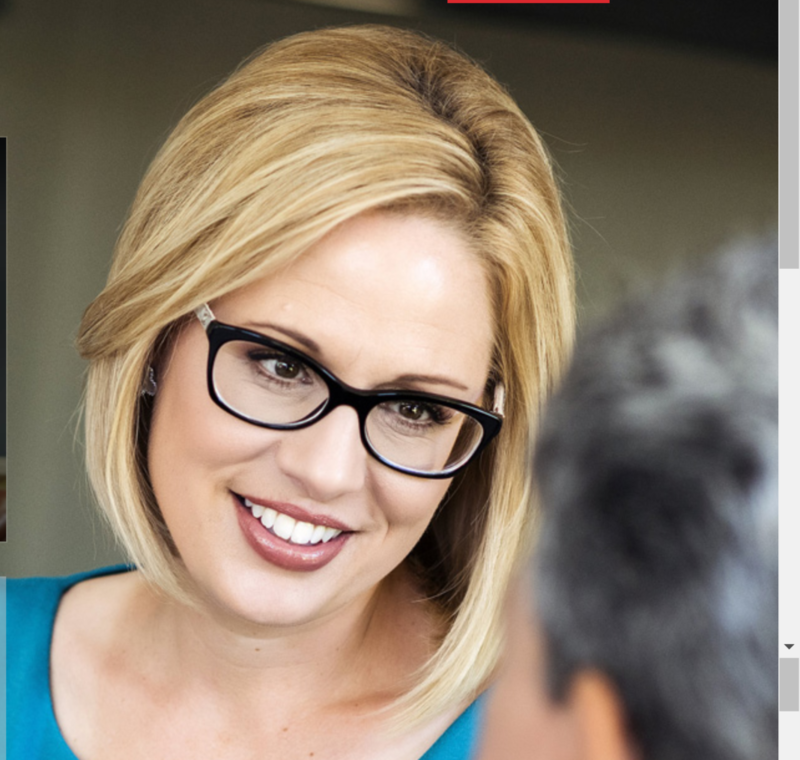 If she wins the primary, as all the reported polling indicates she will, I’ll vote for Sinema without hesitation. I just think the votes she needs to win are not coming from those she believes will respond to her focus on veterans. Rather, I think the votes she needs belong to folks who want the madness to stop. And those folks would be a lot more inspired by a firehose, than by a fiddle. 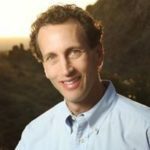 I just trolled “McSally For Senate” on Twitter. I knew that she’s been attacking Kyrsten Sinema for awhile now with her tweets, and to her credit, Ms. Sinema has not taken the bait. Well, McSally has a video now. See it at the link. Thank God it is only 11 seconds. Well, McSally certainly thinks it’s going to be Sinema v. McSally in November (aka Beauty v. The Beast). And, right on time and without any subtlety whatsoever, McSally is attacking for Kyrsten for being beautiful. One of the right wing hater attacks on Kyrsten Sinema is to refer to her as the “Prada Socialist” and McSally has already used this on Twitter. Ms. Sinema buys stylish dresses and wears them to work and events (such a horrible thing to do). McSally is a really, really nasty piece of work. The separation of immigrant families at the border by CPB and in the interior by ICE horrendous, inhumane, not representative of the pro-family values that America (including Republicans?) purports to espouse. Sinema knows this (as indicated in her statement below). Congresswoman Kyrsten Sinema (AZ-09) released the following statement today after another partisan immigration bill was voted down in the House. “The administration’s choice to separate families at the border was wrong and has traumatized innocent children. Last week’s executive order doesn’t solve this crisis, nor does it guarantee that the 2,300 separated babies and children will all be reunited with their parents. The partisan bills put forward in the House failed to provide real solutions for the problems facing Arizona and failed to protect vulnerable kids. This is shameful. Interesting post, Mr. Lord. There’s a lot here to think about. But for the time being, she is most definitely limiting her messaging to the safe, quality of life issues that do not elicit strong reactions other than agreement (ex: higher paying jobs for Arizonans, access to quality healthcare, etc…). It’s not likely that she can do this forever. She will eventually be asked questions she is going to have to answer. But at least for now she appears to be developing statewide name recognition in the safe zone. And Kyrsten looks and sounds very good in her TV ads. She’s young, intelligent, attractive, and has a soothing voice. People are watching those ads. You’re right, of course, that Rome is fully ablaze. And the Democrats, not just Kyrsten Sinema, are going to eventually have to emerge from the safety of their “quality of life” cocoons and talk about how they intend to put out the fires and repair the damage. And they need to stop being afraid of losing the white working class voters they think they can’t win without and articulate a vision for the 21st century, diverse nation that we have become. Even so, for a political candidate to address the issues that directly affect people’s day to day lives and struggles is not a bad way to get to know them. If someone is diagnosed with a serious illness, then that becomes the focus of their life. Or if someone is worried about losing Social Security or Medicare benefits, that could be their most important issue. People do want these assurances even when Rome is on fire, and that is totally understandable. It’s worse. It’s the same playbook the DCCC and DSCC have been using for years, with obvious disastrous results. They run the same “work across the aisle” nonsense everywhere. I don’t know why campaigns pay for this loser nonsense. More campaigns need to get together and only pay these DC-based consultants if they win their general election race. Otherwise they get paid nothing. Then we’d see a change. I agree completely that a candidate will communicate better where the message is rooted in personal conviction, and we must offer a strong case for change to stoke the fire of discontent. But once we identify the problems and make that case, if we hope to turn that discontent into positive action we have to give the voters solutions that work with their values. Here in CD4 our candidate, David Brill, actually worked for years at the VA, cares about his patients and knows what he’s talking about when it comes to veterans care and what we can do to improve it. So we’re spreading that message hard. At the same time we also put high priority on clear, practical ideas for addressing immigration, education and economic development, which our research says are a little more important to our voters. We use poll-based information to shape and target our message. That doesn’t make the candidate any less sincere in his commitment to those ideas. Voters are demanding authenticity, and we’re doing our best to open up and show it. At the same time, we really have no choice about applying our authenticity strategically, and neither I expect does Rep. Sinema. It’s all about service to our communities. If a leader knows most of her constituents care about addressing a problem, isn’t it her obligation to prioritize that problem? Is that insincerity, or committed, practical leadership? One must be elected to effect change. The person quoted will not be elected.